Party planning is always stressful—especially during the hectic holiday season! Family comes from far and wide, and friends and colleagues are all in attendance. Beat the post-party blues by getting your client’s home in tip-top shape and impress every last one of their guests! 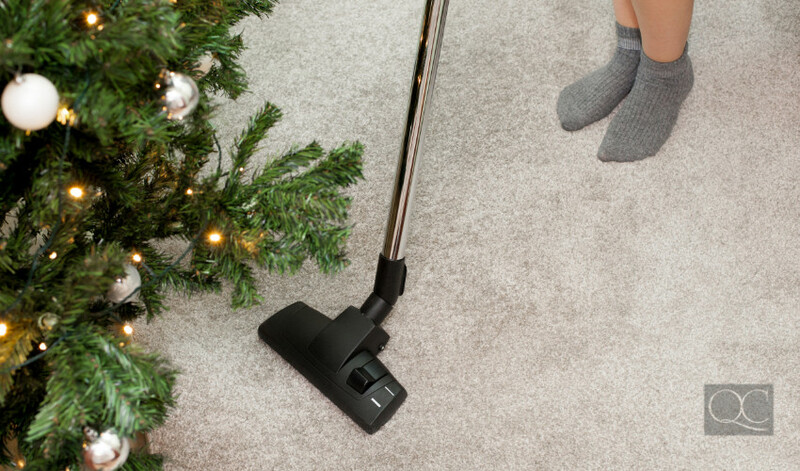 Use these tips to clean, organize, and prepare the home for company during the holidays. Guests should feel welcomed when they arrive at the doorstep, not nervous! 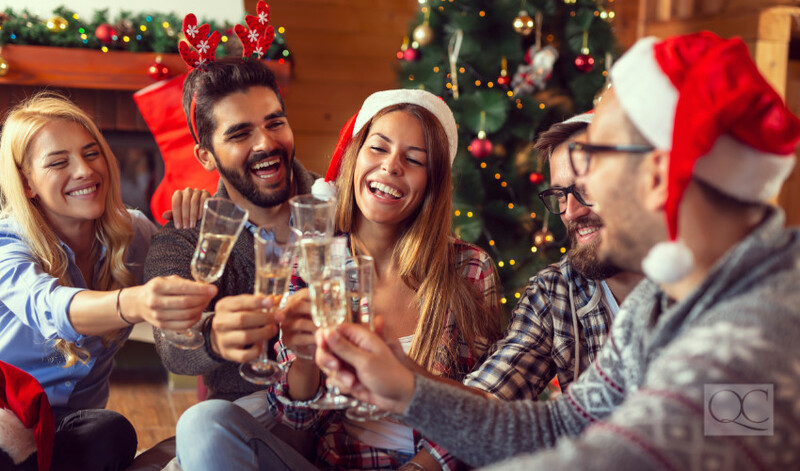 Follow these tips to create an inviting home design for your client’s holiday party this year! Pretty self-explanatory—guests need somewhere to hang their coats! Be sure to stock up on coat hangers, too. No jacket should be carelessly shoved into the bottom of the closet. If you can, move existing clothing out and find a temporary space for it. Hang them in the bedroom closet to give guests priority coat check. This makes jackets accessible when guests first arrive and when they’re ready to leave. It’s a simple technique that will make hosting responsibilities easier throughout the evening! Especially during the winter months, rain and snow can make for some soggy socks. Counter damp shoes by investing in a shoe rack for the front door. When placed on a shoe rack, footwear catches airflow and excess water can run off. Even if they don’t dry completely, your guests won’t have to step into a drenched shoe when they leave (yuck!). Shoe racks also help in keeping the hallway clear so no one trips on a pair of shoes and injures (or embarrasses) themselves. And if you want your clients to have the coziest party of the season, set up a portable heater next to guests’ shoes. It will keep their feet warm and cozy all the way home! Is your client planning a buffet for the holiday party this year? Use this tip to give guests a great meal! Structure the dining table so guests start at one end and emerge at the other. Create a clear starting point by placing plates, bowls, cutlery, and napkins at one end of the table. Even order the dinner dishes by type: sides, mains, meat, vegetarian, dessert, etc. Place toothpick flags in each dish so everything is labelled properly. You’ll impress everyone who attends with this well-thought-out plan for an enjoyable dinner! For a sit-down meal, make sure guests have plenty of room to pull out chairs and sit comfortably. Let your clients in on this little tip: start serving guests with either a full plate or pass dishes around the table in a circle to avoid reaching. This way everyone can enjoy a delicious meal without feeling awkward. The best time to make a trip to Costco is during the holiday season (minus the crowds, of course!). Pick up extra packs of TP and napkins so there’s no running short on the night of the party! Arrange your client’s storage space so you can easily get to what you need. Speaking of toilet paper, be sure the washroom is clean and clutter-free! Spend a few extra minutes on the day of the party to wipe down bathroom surfaces and put away shower products. And clean hand towels—don’t forget to set out the fancy hand towels! Before you head to the shop, make a list of organizers or storage boxes you need to pick up. Cleaning up properly now means your clients don’t need to worry when they invite guests over for other holiday gatherings! A simple step in showing how organized you are: presenting a clean bedroom! By closing bedroom doors during a party, it seems like guests are unwelcome or are infringing on your client’s privacy. So don’t just shove everything into the bedroom because you’re feeling lazy. Clean the bedroom and set it up nicely—that means making the bed, vacuuming the floor, and wiping down the mirrors! Plus, guests LOVE taking home tours. It’s a fun little activity to bring people around your home and introduce them to your living space. Focus on presenting the bedroom neatly since this is the most personal place in the home! Give your clients a home to be proud of. Plus, it’s a chance for your client to splurge on beautiful new bedding so it’s win-win! A must for holiday parties! Clear off counters and coffee tables so guests have somewhere to place their drinks and hors d’oeuvres. This will organize the home to make it much more open and inviting. By not clearing surfaces, you send a message that either a) you couldn’t be bothered to organize properly, b) you didn’t plan enough time to clean pre-party, or c) cleanliness is not a priority in this home. We know that none of this is true, so make sure that no one else thinks so! 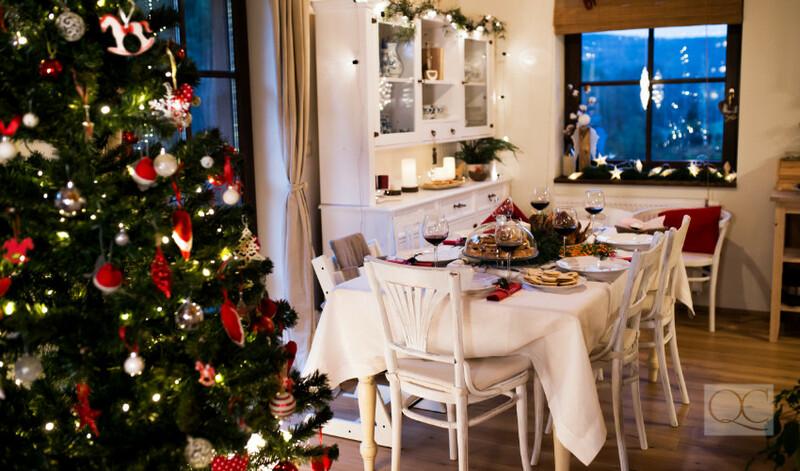 The holidays is when your client’s home has the most company, so be courteous to guests by keeping tables clean. A little extra effort in organizing your client’s home gives a good impression to their guests, and adds credibility to your skills! Well, not literally. What we mean is this: don’t try to hide clutter by “sweeping it under the rug”! Imagine if a guest opens up the wrong closet and discovers a hoard of disorderly mail and random articles of clothing jammed inside…not a good impression for your organizational skills. Instead, clean out clutter by getting rid of what is not needed. If there is a lot of clothing strewn around the house, send it to the laundry room. Or if there’s a basket full of old take-out menus, sort through and recycle them! There’s no need to keep clutter in the home. Most likely, you’ll end up misplacing an important item and won’t remember where it was thrown in your haste! So let’s keep that from happening by finding a place for everything. Get organized by putting these quick ideas on creating hidden storage to use! 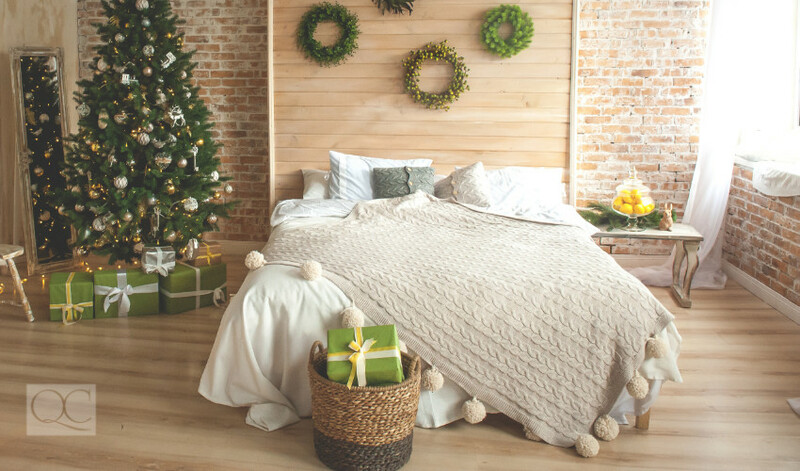 With a little prep and organization before a holiday party, your client’s home will be the most welcoming of the holiday season. So get planning: organize effectively and don’t leave anything to the last minute—you’ll thank us later! All set for your holiday party this year? Don’t forget about adding curb appeal to your client’s home! Next PostDecorating for the Holidays: Festive or Tacky?